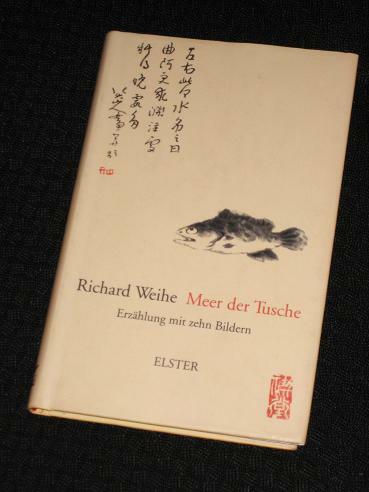 Richard Weihe’s Meer der Tusche (Sea of Ink, Peirene version translated by Jamie Bulloch) is a summary of the life of famous 17th-century Chinese artist and calligrapher, Bada Shanren. He is born into the royal line as Zhu Da, a prince destined for a life of regal duties and pleasant distractions; that is, until the ruling dynasty is overthrown by the Manchus, forcing him to flee for the mountains. Sea of Ink runs to little more than 100 pages, divided into 50 short chapters, and it follows the artist throughout his life, from birth to death (it definitely deserves the designation of small epic). The start of the book concentrates on the historical events of the period, in particular the change of regime, a bloody, violent seizing of power. Later though, historical events take a back seat, and it is the artist’s gradual development which becomes the focus of the story. The monk stresses the importance of preparation, practice and patience. In effect, the whole book (and Bada Shanren’s whole life) is leading up to his attempt to paint something unpaintable – water. 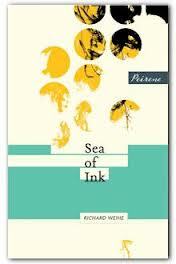 …you see, of the ten I’ve read, only four have been actual Peirene books. The other six have all been the original versions, books recommended by the nymph but not actually a part of the real Peirene stable. In fact you could call them, Peirene choices, not Peirene books.